Below you can view all the homes for sale in the Historic Norcross subdivision located in Norcross Georgia. Listings in Historic Norcross are updated daily from data we receive from the Atlanta multiple listing service. To learn more about any of these homes or to receive custom notifications when a new property is listed for sale in Historic Norcross, give us a call at 404-998-4113. Large Island In Kitchen. Very Unique-Must See MLS#6537241. Virtual Properties Realty. Biz. Outstanding Schools Wesleyan, Gacs & Paul Duke Stem. MLS#6531471. Keller Williams Realty Chattahoochee North, Llc. Extremely Short Walk To Downtown Norcross Restaurants, Shopping, Community Theater, Parks And More. Visit Soon! MLS#8550421. Jb Realty Partners. All Bedrooms Are Large, Laundry Room 2nd Floor. This Is A Must See. MLS#6110836. Keller Williams Realty Atlanta Partners. Again, Awesome Opportunity In Quiet Cul-De-Sac Lot! MLS#6516797. Century 21 Results. Featuring A Chef'S Kitchen W/ Professional Grade Appliances, Master On Main, Loads Of Windows, Multiple Outdoor Entertaining Areas, Hardwoods, Granite Basement And More! Must See! MLS#6108967. Keller Williams Realty Metro Atl. 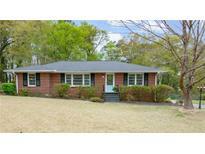 Great Location That Is Within Walking Distance To The Norcross Shops And Restaurants. MLS#6046788. Engel & Volkers Buckhead Atlanta. This Home Is The Corner Lot. MLS#6046787. Engel & Volkers Buckhead Atlanta. This Home Has A 2 Car Garage, Unfinished Basement, & The Home Is Not Associated With An Hoa. MLS#6041219. Keller Williams Realty Augusta Partners. 3 Add'L Bedrooms W/ Baths & A Central Media Room Complete This Stunning Home. MLS#6038449. Engel & Volkers Buckhead Atlanta.